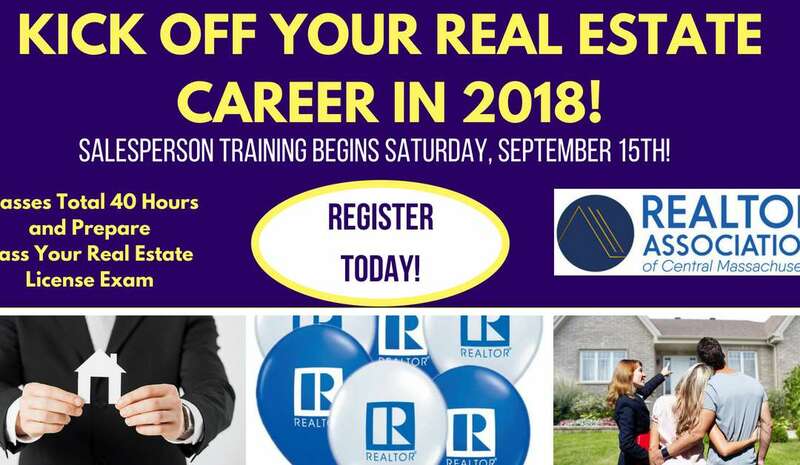 Take your career to the next level and become a real estate agent or broker. 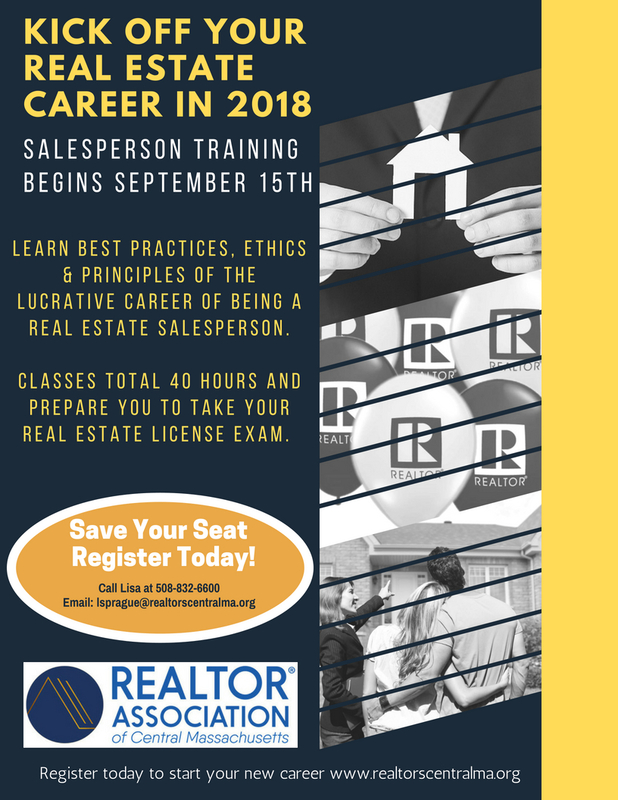 RACM is offering our informative Salesperson and Broker Traning that consists of 10 classes throughout 5 weeks to prepare you to pass your Massachusetts Real Estate License Exam to become a real estate agent or broker. All classes take place on the weekends and evenings for your convenience.